As a member of the Cal Poly Amateur Radio Club, I volunteer as communications support for numerous community events throughout the year in SLO county. These events include bike rides put on by SLOBC, the Wildflower Triathlon put on by TriCal, etc. For these events, amateur radio operators are valuable because these events are usually held in areas suffering from poor cell phone coverage, and because amateur radio operators are particularly skilled at effectively moving information around on the radio. We are used to handle tracking all of the support course vehicles and rest stops, and relay information between remote sites, event organizers, and emergency response staff, such as paramedics. During century bicycle rides or triathlons, it is normal for participants to become seriously injured or stranded. When this happens, it falls on the amateur radio dispatcher to call 911 and relay needed information for getting the injured participant help. For smaller events, it's usually viable to handle all of the information moving through dispatch using a pair of legal pads and a wristwatch, but when you operate for larger events, like the Wildflower Triathlon, where you have >10 event vehicles, several ambulances, and 30,000 people on-site, paper doesn't scale. For these events, we usually have several dispatchers on different frequencies, and then build an entire computer network around them so that they can use a local HTTP-based computer aided dispatch (CAD) system to pass and log information. The problem is that there are a lot of events in-between a sheet of binder paper and spending a month and a half building a computer network for ~100 computers. 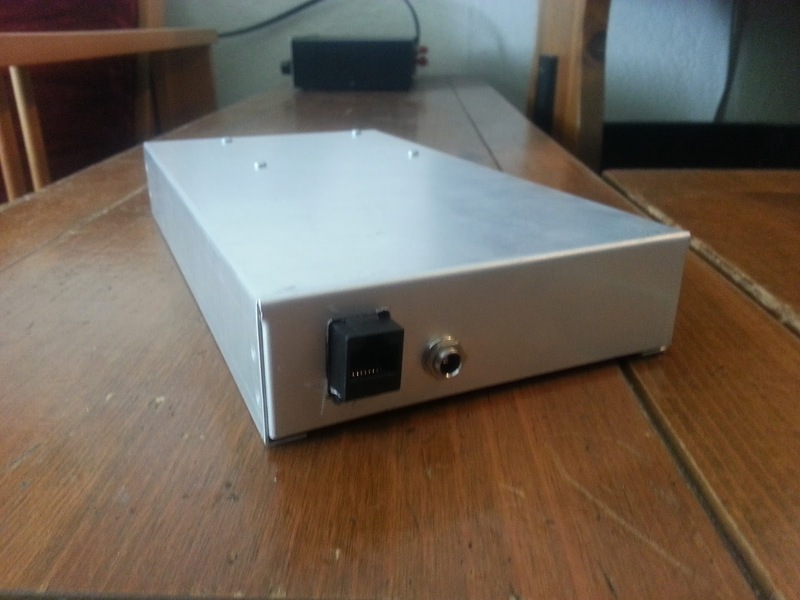 That's where this project tries to solve the problem; a simple and clean box that you can plug into a WiFi router and in half an hour have a workable CAD network set up in a parking lot. This project is still a work in progress. 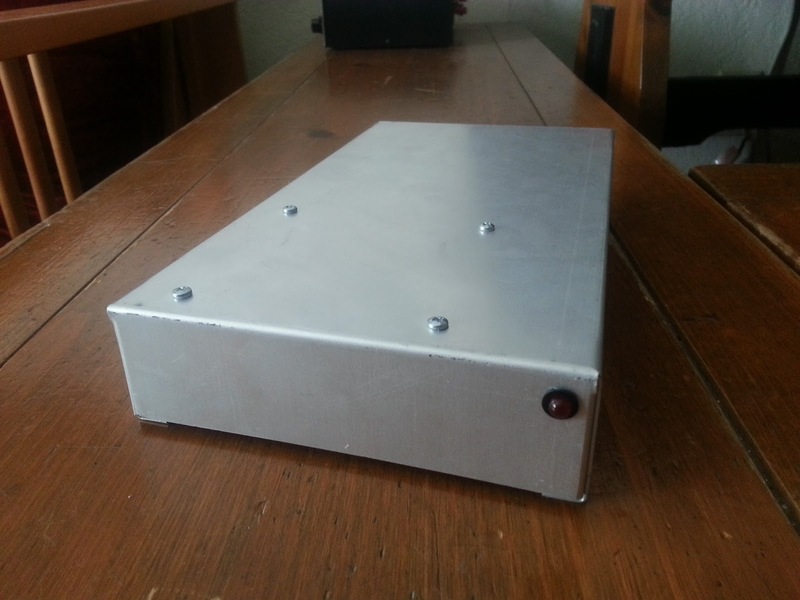 The first two photos show the front and back of the device, which currently consists of only a power light, a 2.1mm barrel jack for 9-18V, and an Ethernet jack for plugging into a WiFi access point. 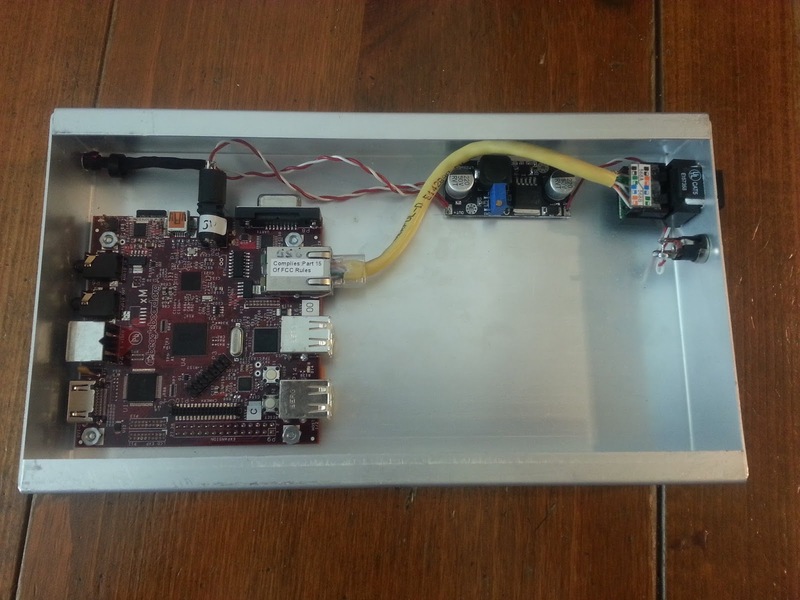 The internals are based around a TI BeagleBoard (Thanks for the free hardware, TI and EDN! ), and a 2A 5V switching voltage regulator. The extra space on the right is for additional hardware, which will likely either consist of a >100GB laptop hard drive for extra storage or an internal Li-Ion battery backup. One issue I've been having with the hardware is TI's tendency to place resistors a little too close to mounting holes. 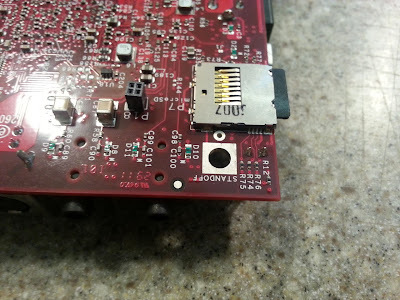 R75 is just close enough to the standoff hole that if you aren't careful about which spacer you use and how you mount it, the standoff can short out that signal to the SD card and crash the BeagleBoard. Plastic standoffs are your friend. On the software side, the BeagleBoard is running Ubuntu 12.04 Server, with a LAMP stack running the CAD software and whatever other services we decide we'd like (Samba, FTP, VoIP, etc). We're still evaluating various CAD packages, so I can't recommend one yet. We use BlackFlower for Wildflower, but since it is specifically targeted at only Wildflower Triathlon and Burning Man (which I'm going to this year! ), it isn't well maintained or meet our more general needs here. I'm currently playing with Tickets, which is looking slightly more promising, but we'll see. In the end, I hope to have a piece of hardware that you can pull out at an event, plug it in, point a web browser at, and have a usable CAD system. Then, at the end of the day, be able to click some kind of "Download report" link, and have a zip file of PDF reports to send to the event organizers as an archive of the event and how dispatch handled it. The problem with reading all of your blogs from beginning to end is when you reach the end you never know when the next one will come. I know I am going to go through withdrawal while waiting for the next one. Thank you for a VERY interesting blog, now I have to go back and data mine it for all of the information I missed. Thank you and look forward to hearing about your future adventures. Very good article. Is there a demo server/site so we try it out?